Project Scheduling Techniques. Why is scheduling important? Scheduling techniques help to align the timeline, the scope and your resources. A schedule has to fit a specified timeframe and use available resources with the right skills. Given many uncertainties, variables and a possibility that resource availability or a project scope may change, it’s hard to create a schedule that will last. And after all, it is you who’s going to be held accountable. Here’s how and when to use scheduling techniques applicable for IT projects, so you can prepare a reliable agenda. A schedule is your project’s timetable, consisting of sequenced activities and milestones that have to be delivered under a given deadline. Having a project plan you know exactly what should be delivered in what order. Resource allocation helps you find and assign the right employees. Then, a schedule tells you exactly when all of that should happen. 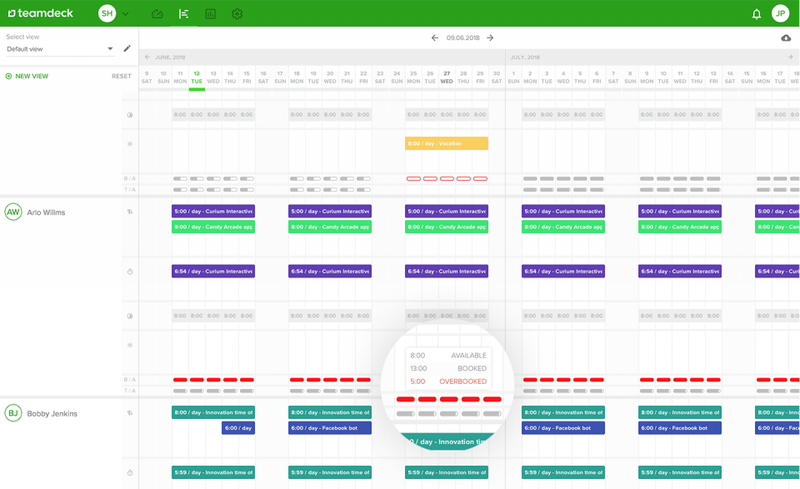 With the right scheduling techniques you can also adjust some activities and tasks in case of a project running late or if any changes to the scope occur. The first two techniques used by project managers are Critical Path Method (CPM) and Program Evaluation and Review Technique (PERT). You can use these methods to calculate the assumed start and finish dates, based on the known scope of the project. Let’s take a look at the CPM, first. Think of the critical path as of your project’s tree diagram. The Critical Path Method helps you uncover the longest possible timeline for the project, as well as the shortest one. With the CPM you’ll also be able to mark critical tasks and the ones that may float. Changes in the latter’s delivery won’t affect the schedule. To use the CPM, you need to know your project’s scope and list all of the tasks necessary for its completion. Next, estimate how long each task may take. After that, you should also note all dependencies between the tasks. This way you know which ones can be done separately, and which ones require previous tasks to be completed. Lastly, add milestones and deliverables to your project. 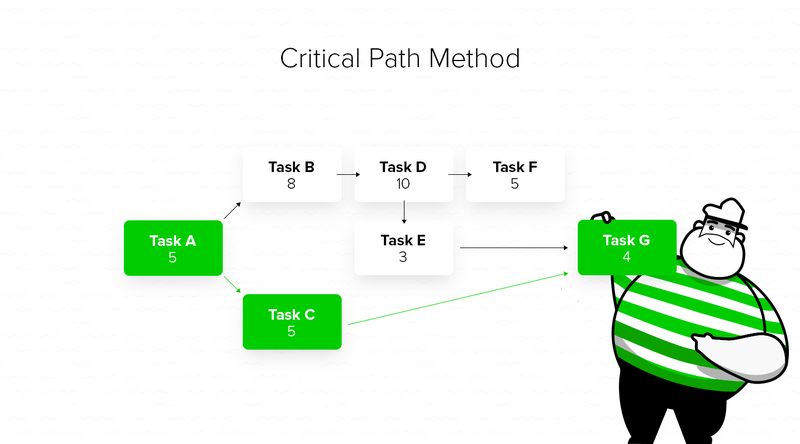 A critical path helps to visualize the project flow and calculate its duration when all dependencies and deliverables are known. This technique may not be so handy if there are many uncertainties in the project. Similar to a critical path, PERT is a way to visualize tasks’ flow in the project and estimate the timeline based on their assumed duration. This technique also illustrates dependencies between tasks. Although it looks very similar to CPM, PERT uses weighted average duration rather than estimates to calculate possible timeframes. A disadvantage of this approach is also a need to know the tasks and dependencies between them in order to fully benefit from this technique. Duration compression is a way to shorten a schedule. It may be of use if the project is going late and you have to find a way to adjust a schedule without changing the scope of the project. There are two techniques that you may apply: fast tracking and crashing. As you already know what a critical path is, here’s another way to use it. 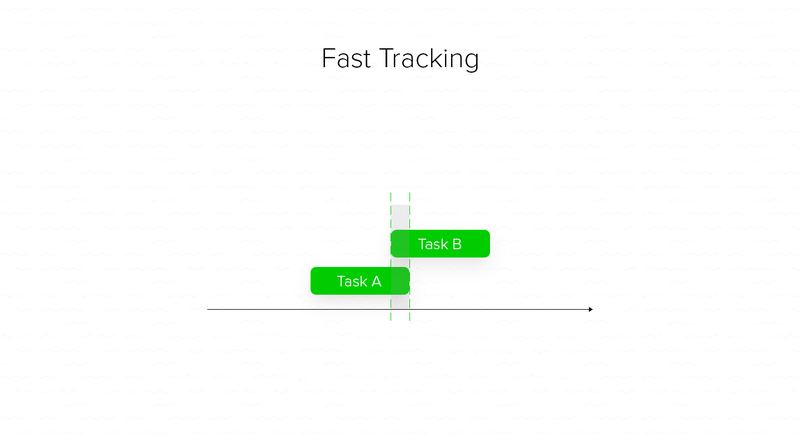 Fast tracking helps you to find tasks that could be done simultaneously or be partially overlapped to speed up the project’s delivery. For that, take a look at the critical path to decide which activities could be fast-tracked. Say you’d started a new project and have already gathered all requirements. At this point you could start with the design phase, and only start with software development if design is ready. But if you need to fast track both processes, you can start software development after first, the most important designs are ready. Then, continue to prepare latter views while programmers implement materials they’ve already received. Although fast tracking may seem appealing, remember about the risks, too. As you will have to manage several important activities at once, it’s easier to make costly mistakes or sacrifice quality. Another compression technique is crashing, which is about adding extra resources to finish the project on time. It is a tricky one though, as you need to have spare resources you can use. Plus, not all tasks can be done faster by adding more team members. According to the Brook’s Law, “adding more human resources to a late software project makes it later”, which is connected to the general law of diminishing returns. 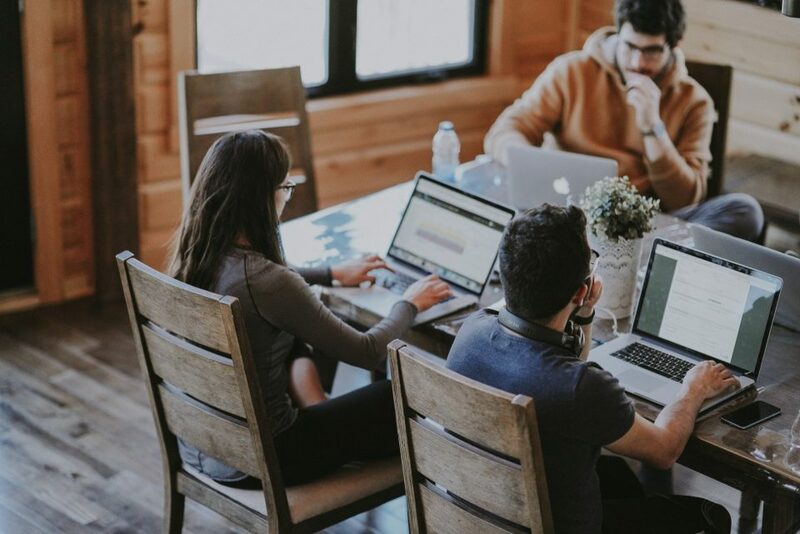 The reason for that is additional communication that is needed to introduce new team members to a project and a limited divisibility of tasks. Another way to use the crashing technique is to add time (e.g. paid overtime), but it has to still fit a deadline. The con of this approach is raising the cost of the project, though. In the simulation technique you use a different set of activities to calculate possible durations of the project. It’s especially handy when there are many uncertainties and variables. Using simulation you can create a schedule based on assumptions, so you can use even if you don’t know all of the actions or if the scope may change. One of the models you can use is a Monte Carlo Simulation. It takes different assumptions and possible outcomes into account, resulting in forecasted duration. The advantage of this approach is that it takes risks and uncertainties into account, so even if a scope changes or additional tasks occur, you can adjust your schedule. Resource leveling is adjusting a schedule and resources to cut the time of delivery or to avoid under- or overutilization of resources. You can use it to adjust a single activity in a project. 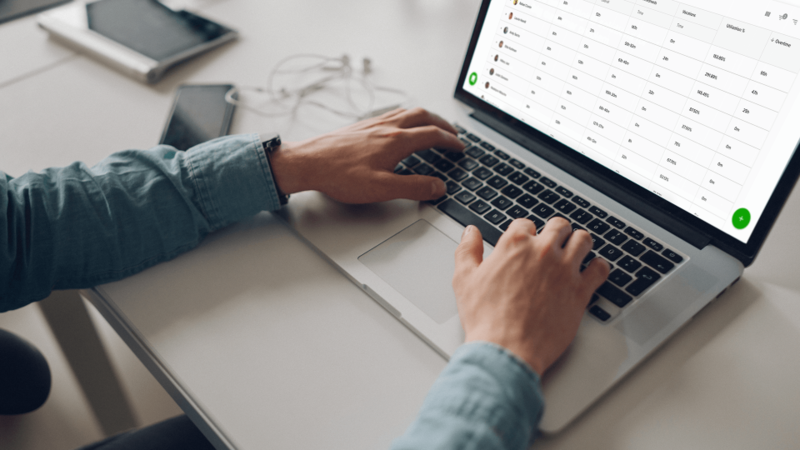 To adjust a schedule using resource leveling, divide or merge activities according to the resources’ availability, so there are no under- or overutilized team members. The use of this technique is vastly debated in project management community, as it may increase the project’s cost and time. If you want to apply this technique, you should take the downsides of it into consideration. Resource scheduling tools help you to identify and allocate desired resources within the project’s timeframe. These tools can also help you to forecast the schedule for a new project, as you have already lots of insights from previous ones. Knowing how your team has performed in the past, what obstacles they have had to overcome and how they have done that is also very handy. Modern resource management software offers digital project managers the access to a lot of data, including performance or utilization reports. 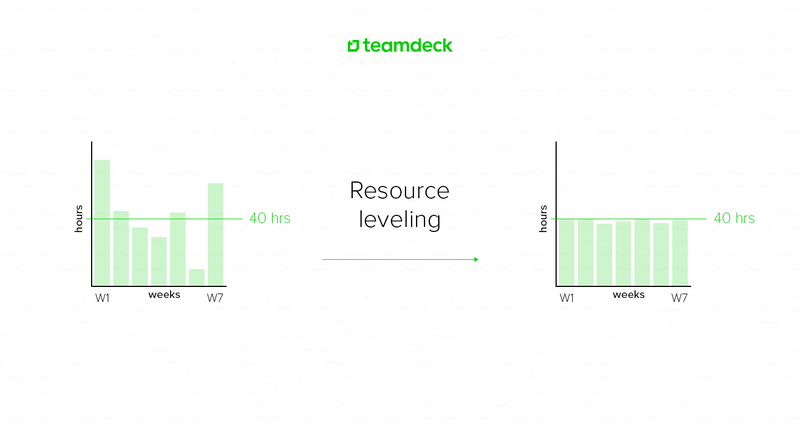 Teamdeck may help you with resolving scheduling conflicts, as you may notice if the resource you schedule for the project is overbooked or if they can still take on some more tasks. 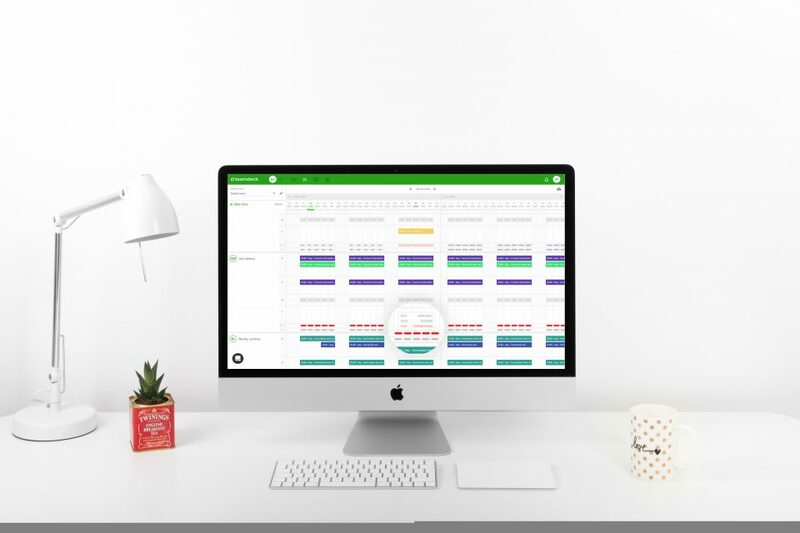 Looking for a tool to streamline your project scheduling? 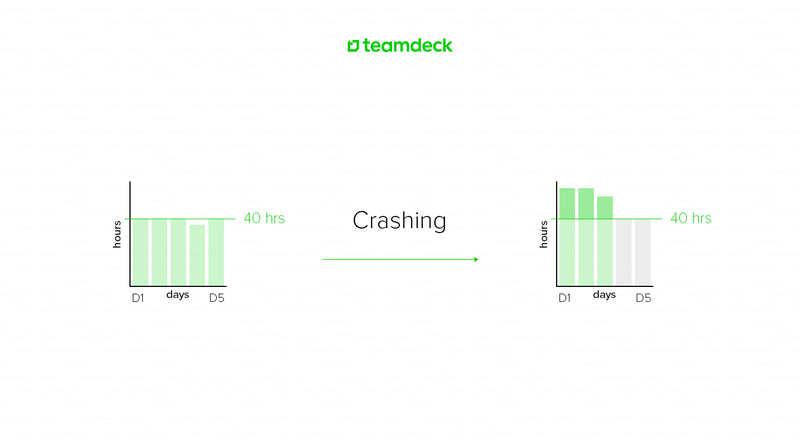 Try Teamdeck’s 14-day free trial and see how it fits the projects you run.